Looking to add some fun to your Folk Dance Unit? Round up your Grade 4 to 6 students and come on down to learn some traditional folk dances with us! During the session we will have real - live! - fiddlers performing while traditional dances, such as the peekaboo polka and the Virginia Reel are taught by a live dance caller. 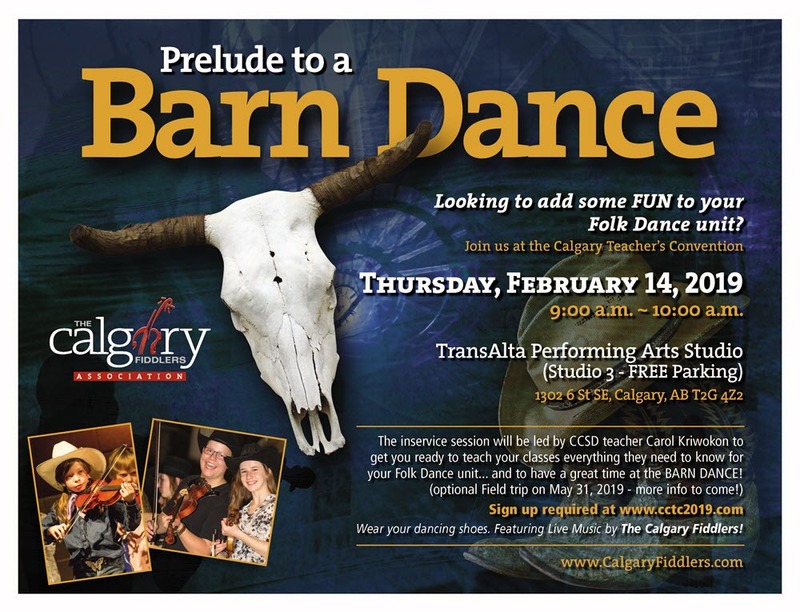 The inservice session will be offered by CCSD teacher Carol Kriwokon and The Calgary Fiddlers who will get you ready to teach your classes everything they need to know to have a great time at the Barn Dance on Friday, May 31, 2019 at 1 pm! Great session for Elementary Music and Physical Education teachers.